Most of our time these days are spent working on sharing and learning how to "talk to our friends" (aka communicate without tears, whines, grunts, or growls). 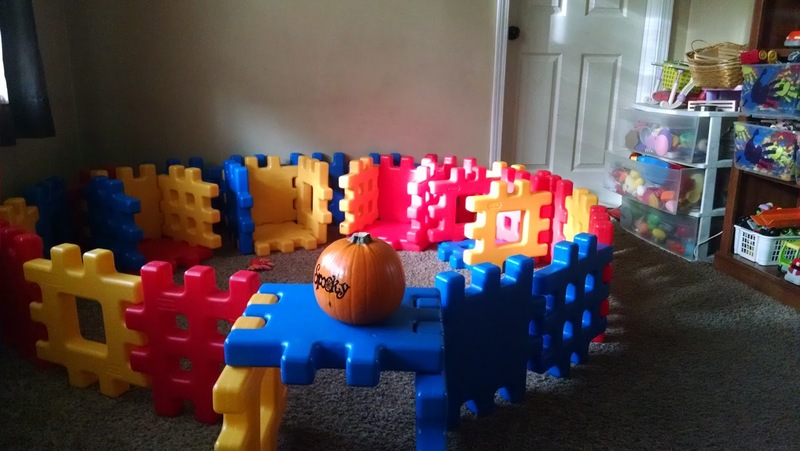 It requires a lot of time spent on the kid's level, mirroring them as they play. Some days go smoothly, some days are harder, but eventually they start to pick up the words, phrases, and actions. 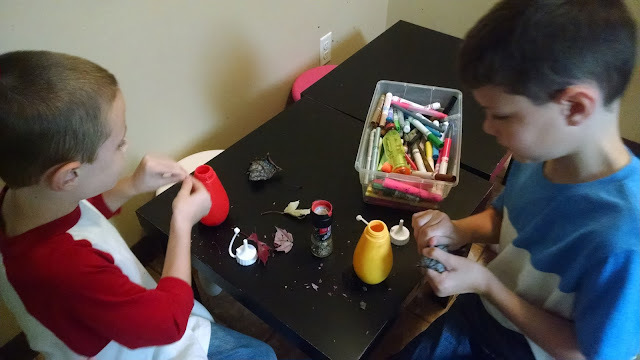 Because of all of the time spent on their level (and not being away from them for a moment) we haven't had a lot of time for all of the "fun stuff" such as arts and crafts and sensory play. We celebrated a daycare child's second birthday with chocolate cupcakes. When I asked him what he wanted for his birthday, he told me cat food. 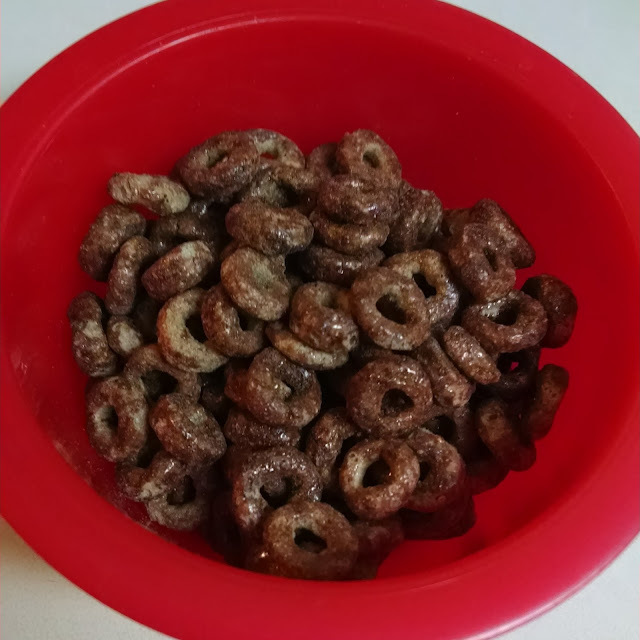 So morning snack was "cat food" (chocolate Cheerios). 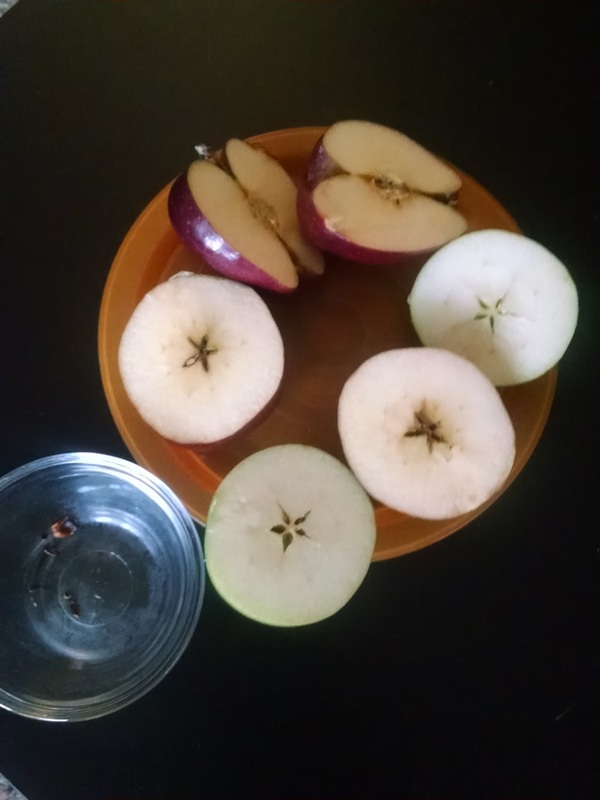 We examined the inside of apples, picked out the seeds and counted them, and then painted with the apples. One of the daycare mom's sent me this link and we did our best to re-create the fall trees. 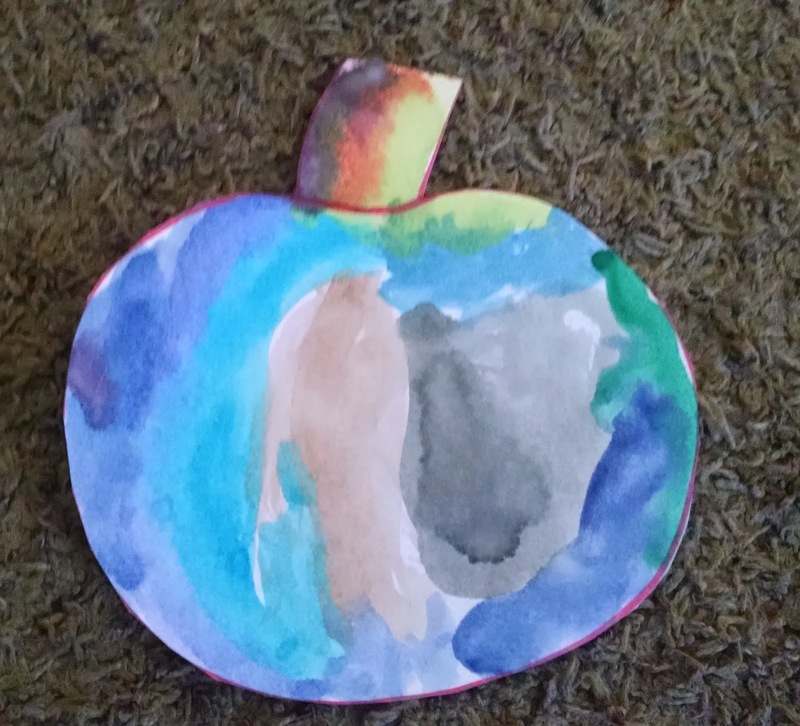 I had first drawn a tree like they used, but these kids wouldn't paint on them! 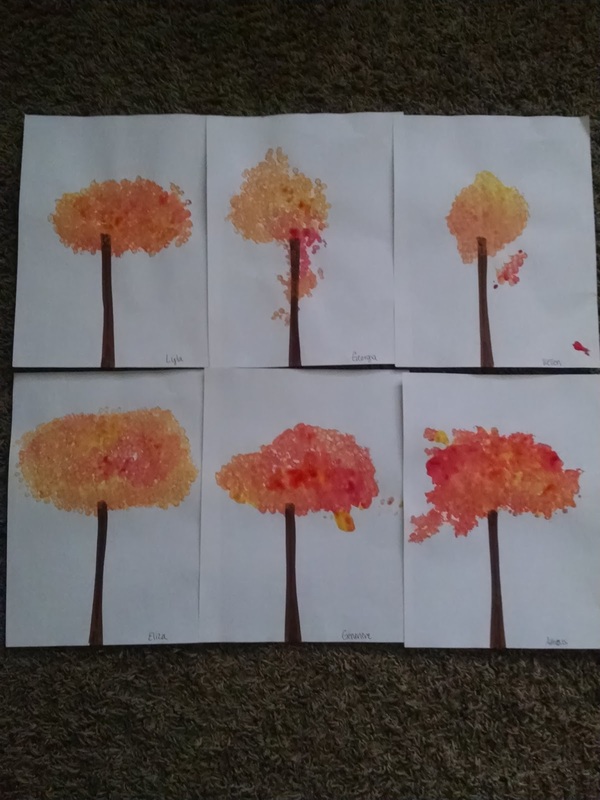 They told me the leaves didn't go on the branches, so I had to do my third grade tree trunk and THEN all of the kids happily put the fall leaves on top of the tree. 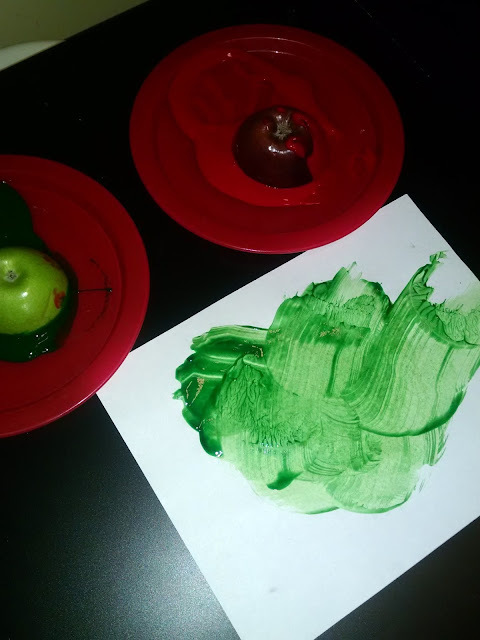 The boys came home from school and tried to make leaf paint. 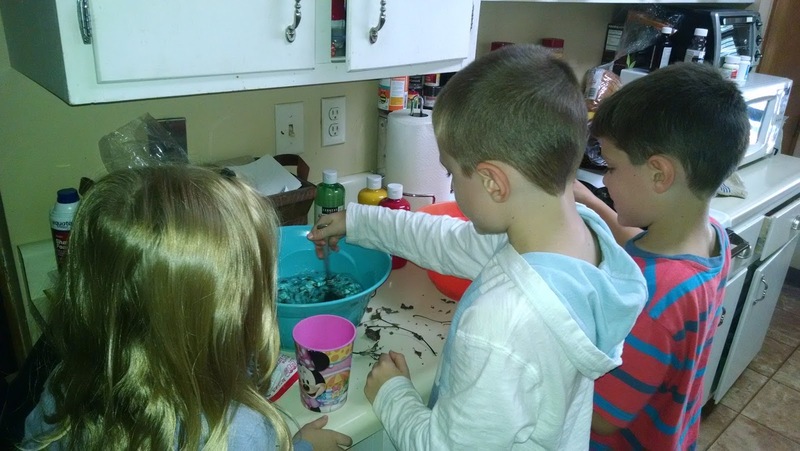 I'm still unsure exactly what it was (or supposed to be) but all of the kids enjoyed watching them make it and then trying it out. The following day they came home from school and made "leaf soup" with all of the little kids. We've also been working hard on cleaning up. 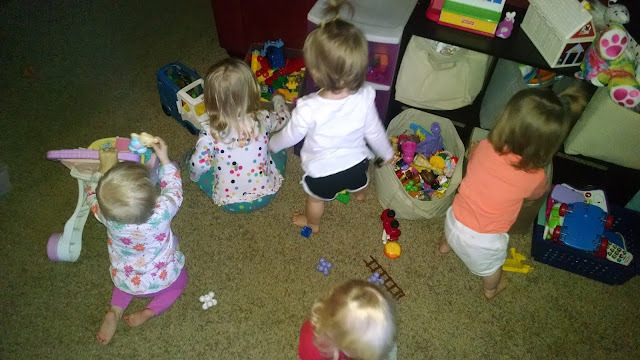 A few of the kids are very particular about putting all of the toys away EXACTLY where they found them and a few of the kids could care less about it (mostly because they're just not old enough to fully understand). It's made clean up time quite interesting, but I'm very impressed with the cleaning skills of the 1, 2, and 3 year olds! One Friday I only had two daycare kids. Therefore, we got to do a very special outing to the Blank Park Zoo and got McDonald's for lunch afterwards. It was a cool day and all of the animals were very active while we were there. The kids loved watching all of the animals and we somehow made it through the zoo in an hour and a half. 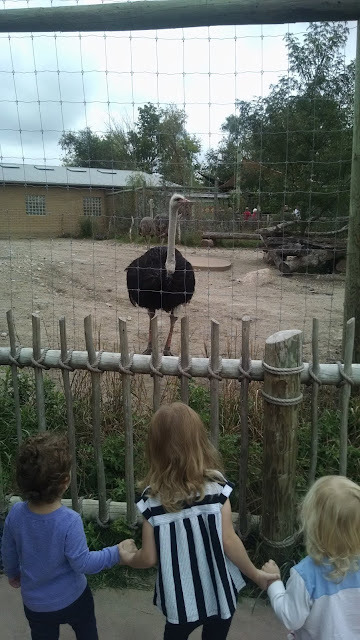 The ostrich kept me entertained and laughing--this ostrich was biting and pecking at the fence and making noises at the kids! I'm actually surprised no one got scared by it. We got this Melissa and Doug block barn set when we went to Center Grover Orchard a few weeks ago (read about that here). The kids have been spending a lot of time building the barn and coming up with new ways to build the farmyard. 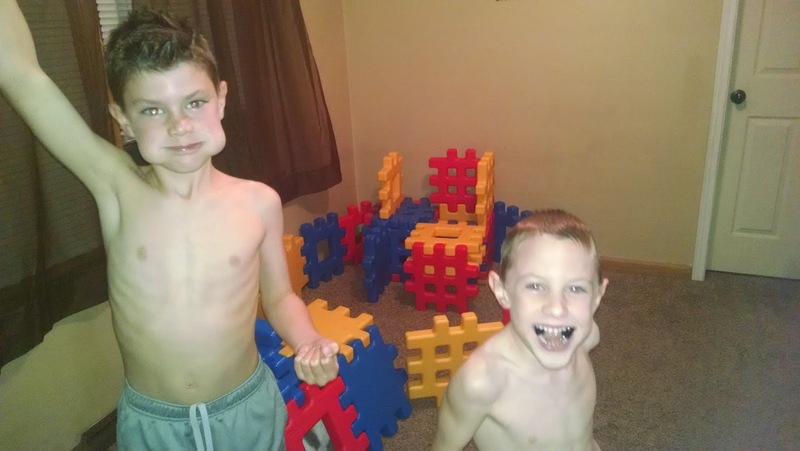 It's been one of the most played with toys the past two weeks, which means there's been quite a few disagreements about who can help build and who grabbed a piece away. 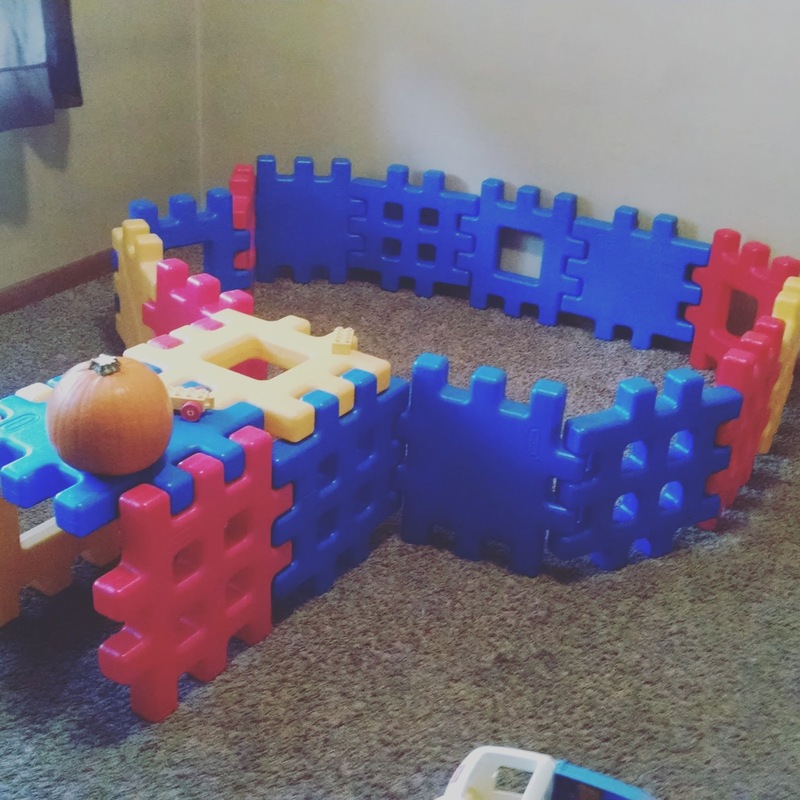 We used the Waffle Blocks to make a baby and toddler Halloween House (not a haunted house because that would be too scary for them, according to Max). Elizabeth asked Matt to bring her flowers from the store. 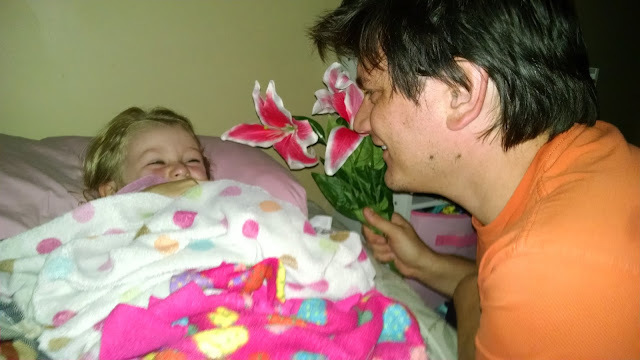 He came home with lilies (also her nickname) and presented them to her as she fell asleep. 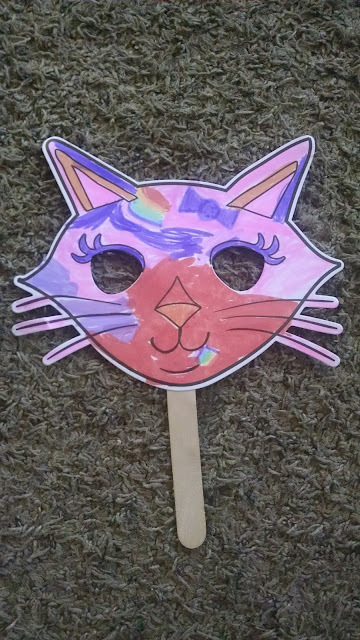 She proudly showed them off to the daycare kiddos the next day. We started to get festive this week. 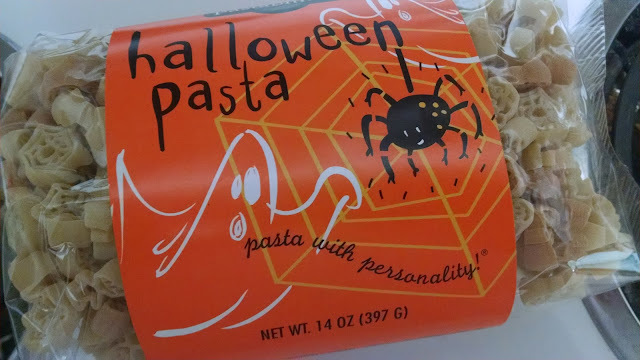 One day we had Halloween pasta for lunch. The boys played Chubby Bunny grapes (where you see try to fit as many grapes in your mouth at once). 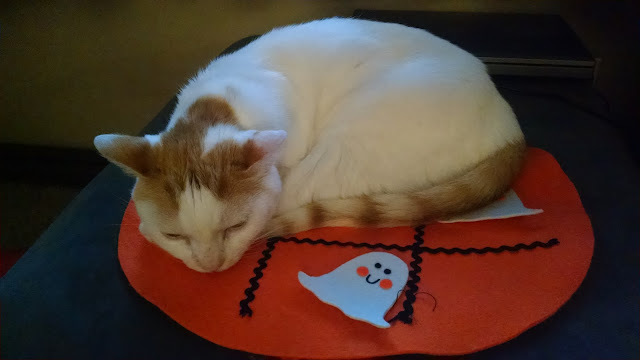 BIG drama when the cat used a Halloween game for a bed. The kids colored paper Halloween masks. 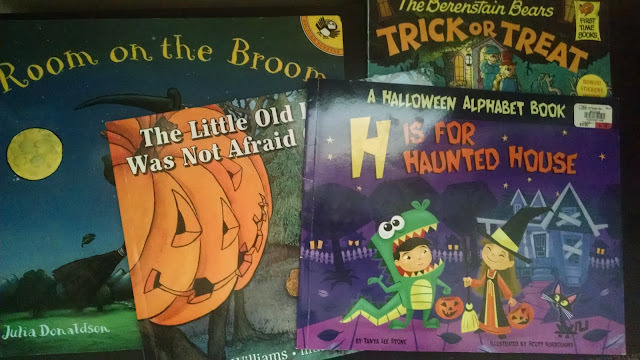 I broke out the Halloween books this week. They have been read A LOT already. Their favorite book seems to be The Little Old Lady Who Was Not Afraid Of Anything. We read it a dozen times each day. The kids painted pumpkins with watercolors. 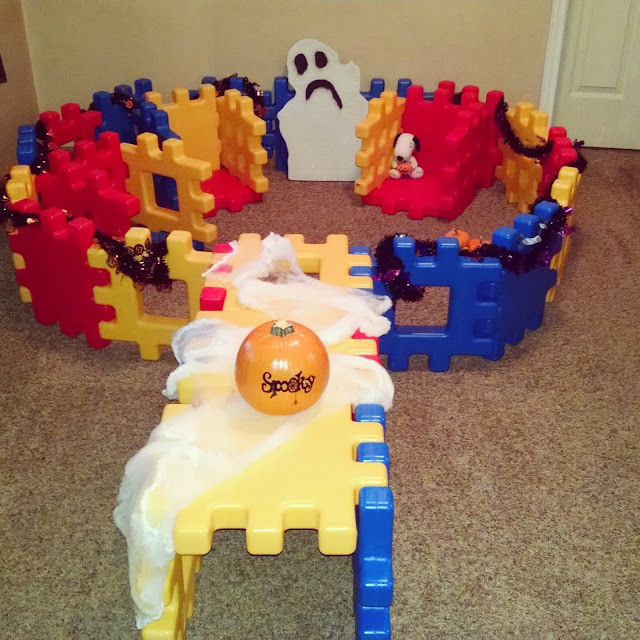 Next week we'll be doing more Halloween activities, lots of sensory activities (thanks to a new water table), and a few arts and crafts.